Visor's tax team completes your personal tax filings for Federal and State returns and helps you out through the rest of the year, all at one fixed annual fee. Why would I need Visor for a whole year? Is There Anything Visor Doesn't Do? It’s pretty simple. First, sign-up from your AND CO by Fiverr account. This will lock in you for a discounted rate exclusive to Fiverr members and allow you to seamlessly share your income and expense. 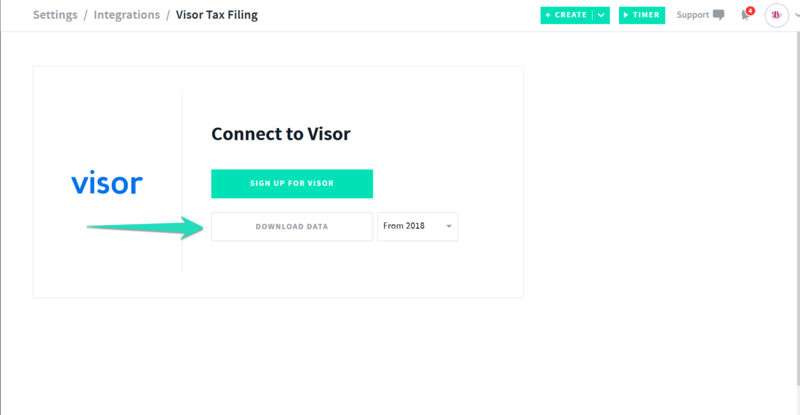 Once you’ve created your Visor account, you can start sending a message to their tax team or commence the tax filing process. For tax filings, you simply have to answer a few questions about your personal information, upload your tax docs, and then let your tax advisor complete your filing. You then review the completed return, pay, and it’s filed. Of course, any questions along the way are handled via the communications channel or via phone call. How Do I get Started With Visor in the AND CO App? Once you have received an email with your download CSV data file you can then submit this directly via your Visor account. 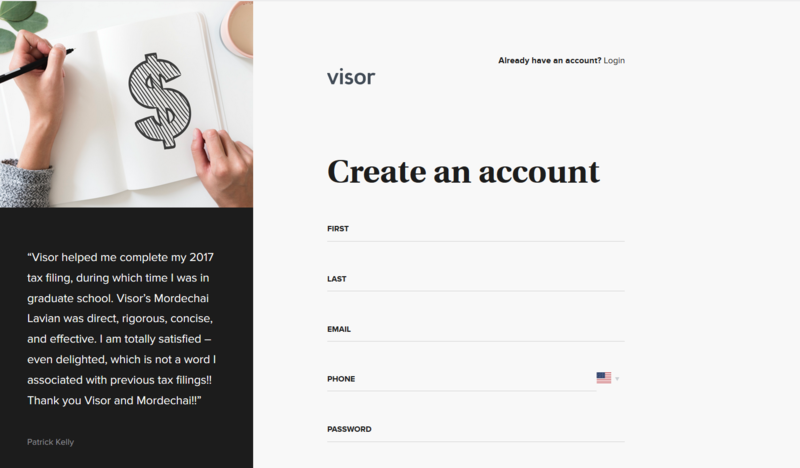 Any Questions simply hit up your Visor account manager directly with Visor once logged into your Visor Account. If I have questions, who can I talk to? 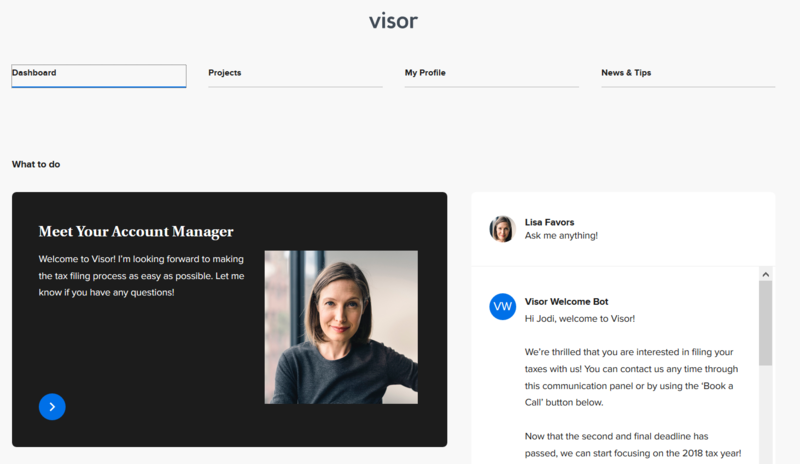 You can reach out to the Visor team through their online dashboard, either by sending a message or booking a phone call. Will I have a designated advisor? Yes, once you fill out Visor's questionnaires and upload your documents, they will match you with one of their tax experts and his/her team that specializes in your tax situation. What tax forms do I need to upload? You are provided a list of suggested documents, tailored for you based on your answers to the questionnaire(s). You’ll definitely need to upload last year’s tax return, and should share all documents that you know about for this year’s return. When do I send in my information/documents for this year? As soon as you have them! You can upload your information all at once to Visor or as you receive it. Once everything is ready, click Submit and Visor will get started on the filing. Why can’t there be more telephone appointments? Visor gets very busy during tax season, and a lot of your fellow Fiverr & AND CO users all signed up at the same time. Feel free to message Visor any time through your Visor dashboard if you need something quicker. After you receive the analysis of your tax return filing, you have the option to move forward and have Visor file for you (that is when you would pay) or walk away. Can I choose the plan I want? Visor's pricing is based on the complexity of your tax reporting needs. All clients get the same great service, but Visor charges more for those where there is added complexity. After you complete the tax questionnaire, an estimated price will be provided based on your complexity.